USB v2.0 is a high speed connection method which is 40 times faster than USB v1.1 (480Mbps as opposed to 12Mbps). It is plug & play and hot swappable (no need to turn off your PC to plug a device in or out). It is faster than Firewire (IEEE1394/iLink) but not as qiuck as IEEE1394b (800Mbps). 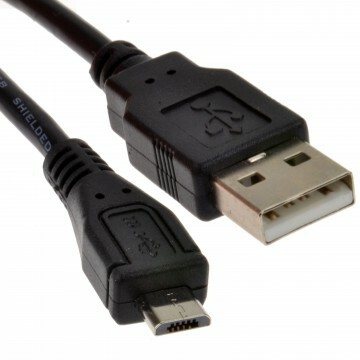 This extends a USB v2.0 cable. Please note that the maximum recommended length of a USB cable is 5 metres in total. Also so peripherals will not work at distances longer than their standard cable. Check peripherals documentation for more information. This cables carries the Certified USB v2.0 label. USB v2.0 cables will still work with USB v1.1 computers (they are backwardly compatible) and peripherals but only if both Computer and Peripheral are USB v2.0 will they work at High Speed (480Mbps). USB v2.0 peripherals will not work at High Speed (480Mbps) unless they are connected with a USB v2.0 cable and connected to a computer equiped with USB v2.0 ports.